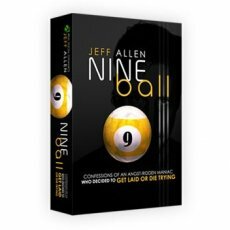 Review for Nine Ball, In The End A Great Read I Loved It. "In The End A Great Read I Loved It." I loved the Beginning and loved the end. The beginning had a similar rhythm and flow as Fear in Loathing in Las Vegas. I loved that. It kinda felt like it slowed down when you started learning game in the book, but I read your archive so that might have ruined a lot of that for me, yet I feel I have to mention that the rhythm kinda felt like it stuttered a bit during the middle. Like you polished up the field reports from your old archive and filled in the blanks. Then starting at the Salvia trip you seemed to change gears into a more coherent flow that I really liked. In the end a great read I loved it.